The occult, and items that are usually closely associated with it, have been Hollywood staples for decades. take a look at just what they really are and their 'real life' history. were spread to, well, help sell a certain deck of Tarot or to discredit their use altogether. often surrounds them, now came later. originated as standard playing cards, with nothing mystical about them at all. themselves between battles and assaults. all of that is really not what we are interested in here; we want to discuss how things all got, well, a bit weird. began formulating what was a very interesting theory, if a bit far-fetched. that tarot was supposed to be 'The Royal Road of Life'. actually began assigning meanings to each card and formulating instructions for their divinational use. questions about the direction their life was about to take could be answered. tarot 'divinations' to wealthy clients and to teach the 'art of the Tarot' to students. frightening reputation? Perhaps most responsible for that was the notorious Aleister Crowley. 'method' of Tarot reading but his reputation certainly gave the whole concept a darker edge. more about how the whole thing actually works, right? In very basic terms though every deck is made up of 78 cards, each of which has its own unique meaning. communications and Rods for spiritual matters. Finally there are the Court Cards, Kings, Queens, Knights and Pages for each suit in the Minor Arcana. So, how does a basic reading work? The cards are separated and one is chosen from the Major Arcana. the Minor Arcana. In a very basic reading the Court Cards aren't touched, they are left for 'deeper' reading. mysticism as a child in Jamaica. designed as a primer for the new tarot card reader. and beliefs in general give the deck - and its accompanying instruction book - a 'black magic' edge. movies, but more about those later. occult' and has always had a single purpose; to communicate with the dead. origins however in the ‘talking boards’ and 'automatic writing' that came centuries before. decreed it was evil, dark magic. continued in the new world. It really came into its own however just after the Civil War. least seen if not used. themed gravestone to be buried under. with them in the same way as they might their Lego sets or Barbie dolls. examples of 'Ouija board authoring'. and Twain's daughter Clara sued merely because it was an insult to her father's legacy and a fraud. encountered a young woman called Patience Worth via the board. and even got herself a gig as an essayist for the noted Atlantic Monthly. she said, via a Ouija board to have her transcribe some 'more' of his posthumous work. his partner David Jackson had had with a number of spirits. got plenty of attention from both the religious and the scientific communities. possessed him and led him to kill. "The planchette is guided by unconscious muscular exertions like those responsible for table movement. explanation yet for the Ouija board's apparent functioning. expected genres. Let's now take the time to look at some of the most memorable examples. prop, its presence actually drives the narrative forward, or effects it in a significant way. dark and bleak plot and when you add the fact that the acting is pretty decent the film is well worth a watch. sideshow, actually believes she is one, and a murderous one at that. readers to perfect her silver screen reading. good Doctor and his Tarot cards that we won't spoil here but does make sitting through the film worthwhile. believes that if she was not her ability to read tarot so well would be taken from her. with Bond and end her tarot reading days and her association with Kananga. with Jane Seymour, despite the fact that she has played a number of other famous roles since. him as her Grandmother's tarot reading seems to have foretold he is her destined true love for life. zombie and promptly begins eating and converting the remainder of the local population. Crowley's Thoth deck that features the movie's characters as card images. single reading the violin-maker's wife received during its creation sometime in the 15th century. literal or silly, but properly aligned with the way the cards are usually interpreted. heavy metal musicians who are literally fighting the Devil. Black fans in general, as his image is worked into them all. the original theater release as its historical plausibility was questioned in the editing process. In the scene, Portman's Anne Boleyn is seen performing a tarot reading for a fascinated King Henry VII. deck, referring to the 14th century King of France of the same name. that the doomed Queen influenced her own fate using Tarot is a very interesting one. the forces of evil plaguing a beautiful young girl. inherited deck however causes the heroine nothing but trouble. imagery is effective and a great way to cash in on the tarot card’s occult reputation. including The Devil and The Lovers – as well as several scenes of actual tarot card reads. Ouija board that the studio janitor has just purchased. getting trapped in the Ouija board. time sales of the Ouija board as a 'game' were still skyrocketing. made homeless learns he has unexpectedly inherited a house that belonged to a distant uncle. decently budgeted Hollywood horror movie. a Ouija board and the taunting of a local bully. very reason she became possessed in the first place..
have been. Seytan is one such movie. than Georgetown, it is almost an exact ape of William Peter Blatty's tale. the seance is so hokey it's almost downright hilarious. the board' during their seance and possesses a toy monkey that then proceeds to go on a nasty killing spree. develop a definite dislike for both Ouija boards and stuffed monkey dolls. introduces his ex, Linda, to at a party. malevolent however, and can seemingly leave the board to kill. the intrepid teens forgot to do - he can't be vanquished either. who had caused such controversy playing Regan in The Exorcist. nice house. However, when her kids are gifted a Ouija board and begin to play with it Nancy goes berserk. board, although she does now have a certificate from the Pope stating she's all better now ! must track down the now retired priest who helped her out before, one Father Mayii, as played by Neilsen. 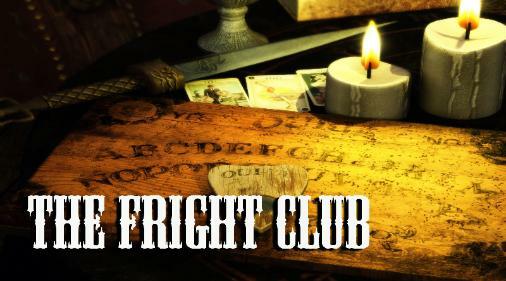 Watch this one for fun, not just because a Ouija board makes an appearance. after trying to burn her beloved board. further their narratives, there are, of course, more than a few more and more to come in the future no doubt. supposed to be benign playthings? We'll leave that one up to you.